The Sunflower family is a very large family with over 25,000 members. 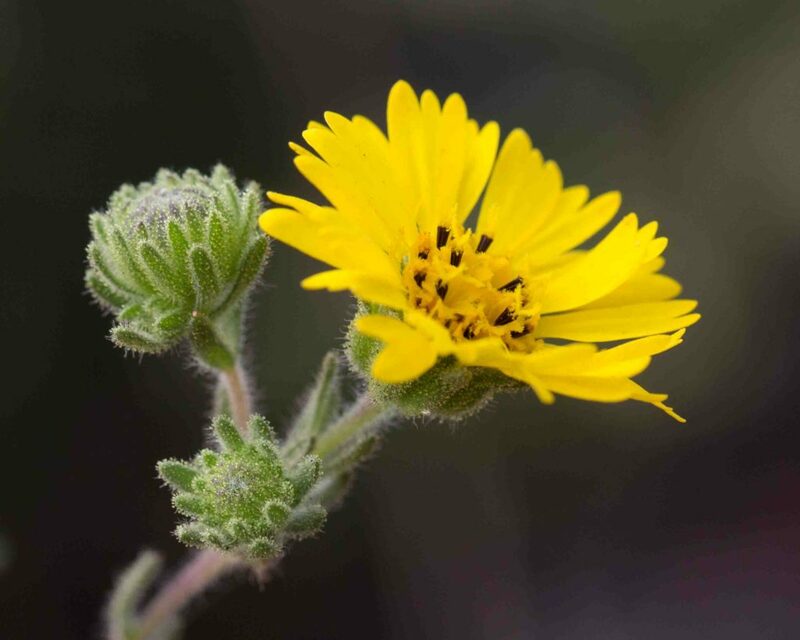 Botanists subdivide the family into a number of tribes of which 14 are represented in Monterey County, one of these, the Heliantheae or Sunflower tribe, being further broken down into subtribes of which 9 are represented in Monterey County. 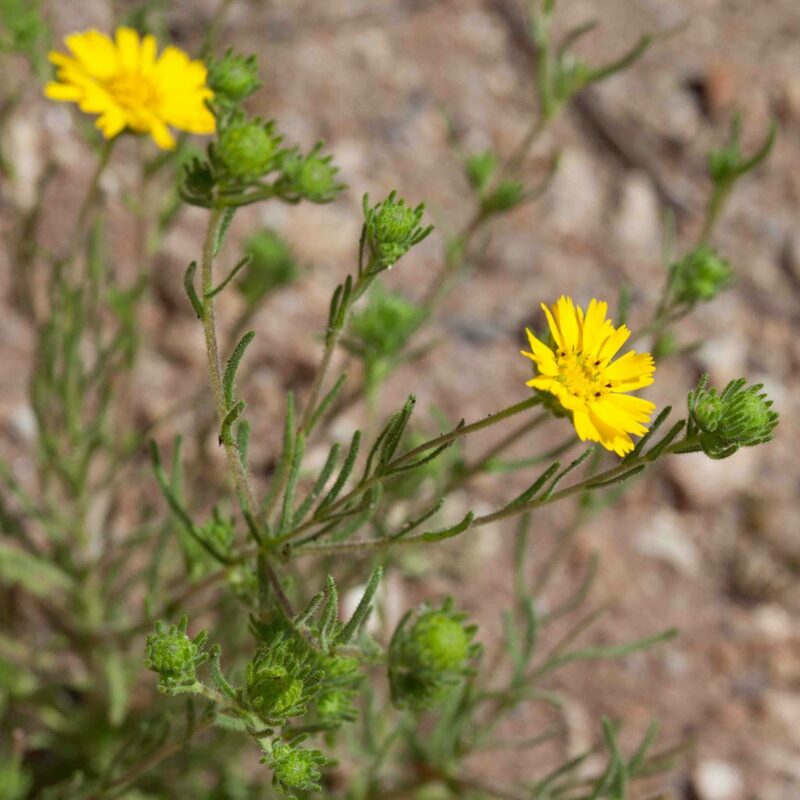 The Madia (Tarweed) subtribe includes various species most of which have more or less conspicuous glands which give off a distinct, sometimes strong tarry odor. 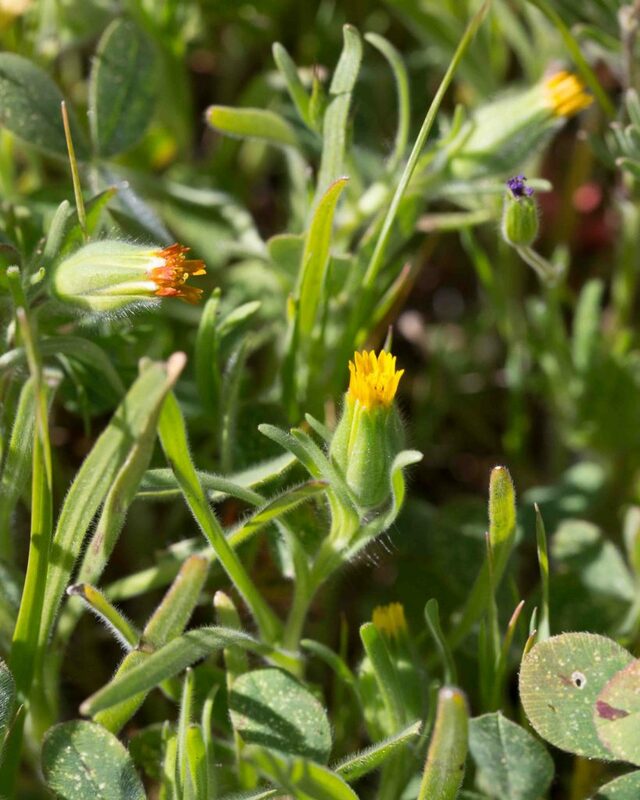 This page covers a variety of species of widely varying appearance. The fruiting head of Blow-wives is much more striking than the inconspicuous 3–8 yellow ray flowers (which turn red at maturity). 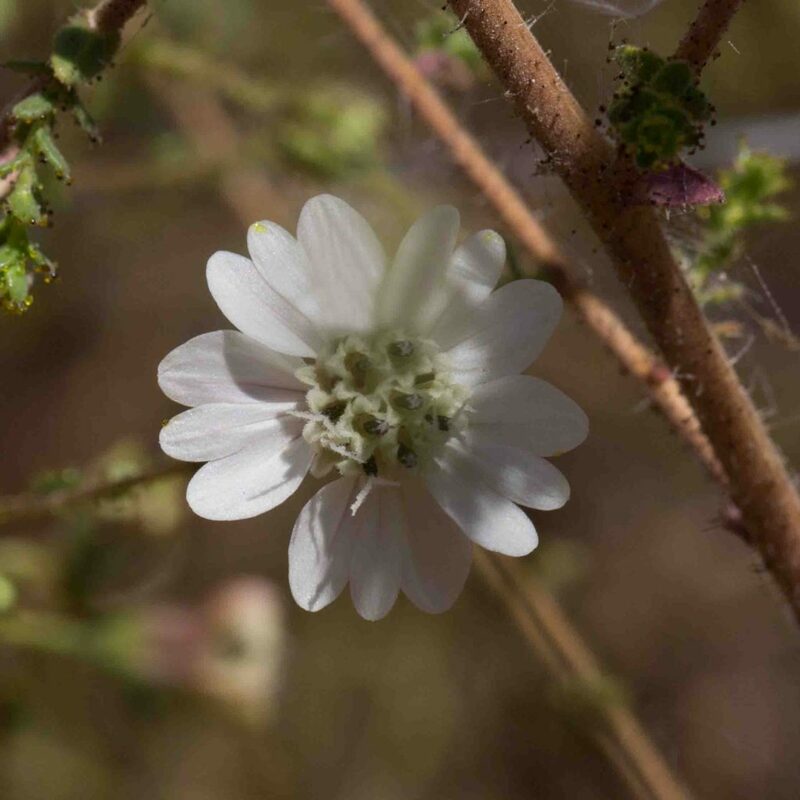 The fruit consists of a shiny black body and the pappus of 10 bright white scales in two series, the 5 inner scales much longer than the 5 outer. 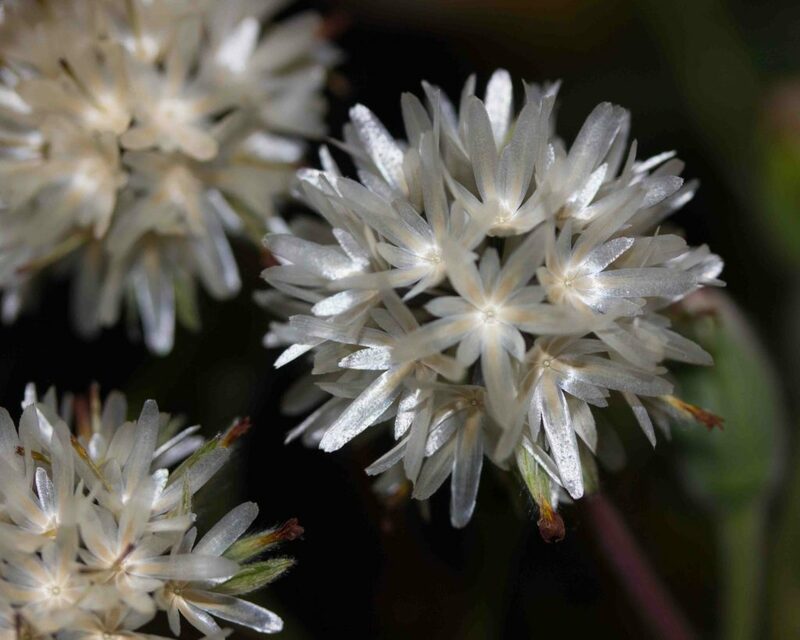 Although the fruiting heads are sometimes confused with Lindley’s Silverpuffs (Uropappus lindleyi), both the number and the appearance of the pappus scales are quite different. 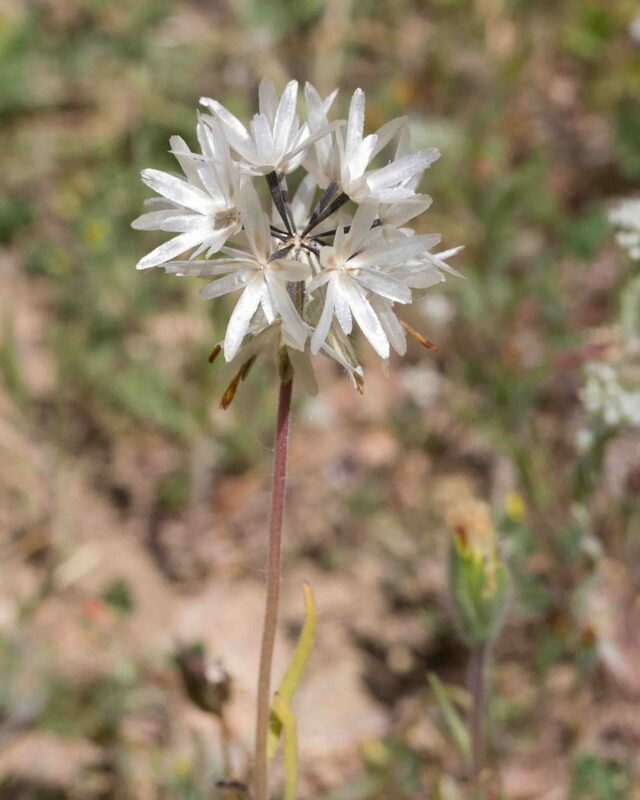 Unusual among the tarweeds in having generally creamy-white ray and disk flowers rather than the usual yellow. Anthers are dark purple. 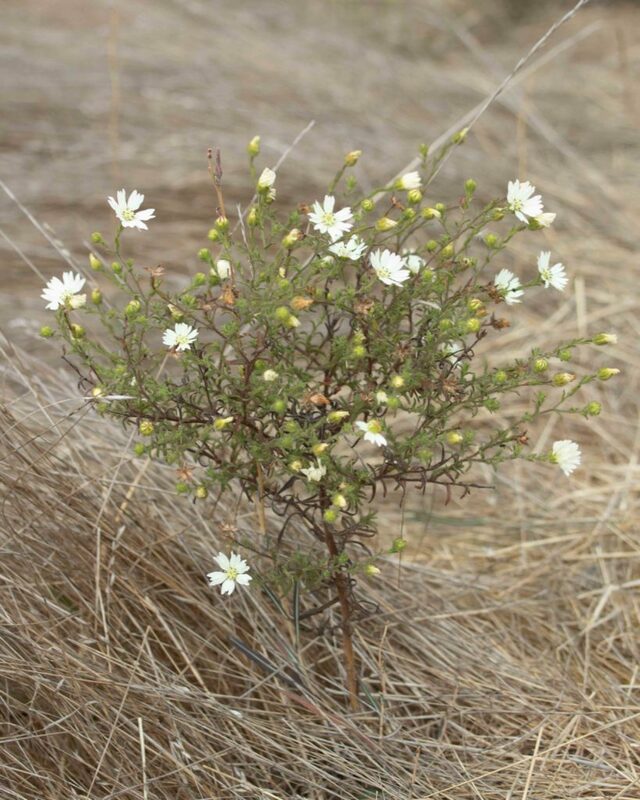 Stems are erect with spreading or arched branches. Branches have conspicuous stalked glands. 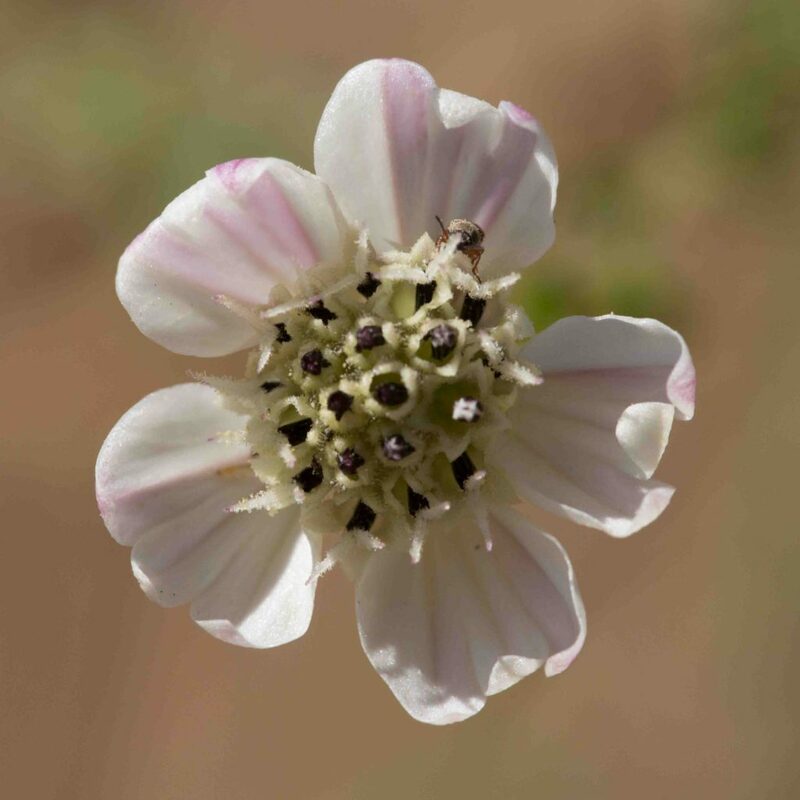 The inflorescence has several heads, each with 5– 13 ray flowers, 5– 10 mm long. 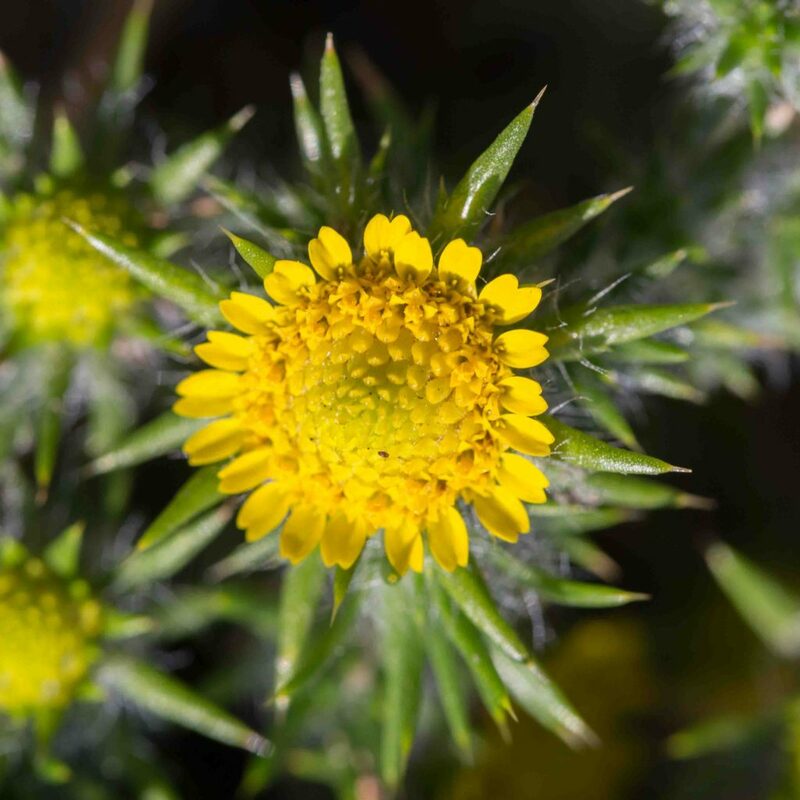 Phyllaries are in one series. 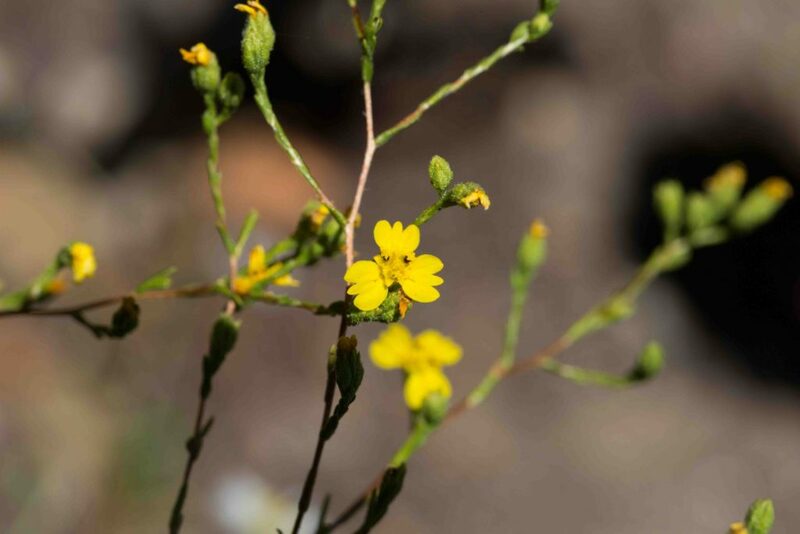 Leaves are narrow, < 15 cm long; the upper leaves are also stalked-glandular. 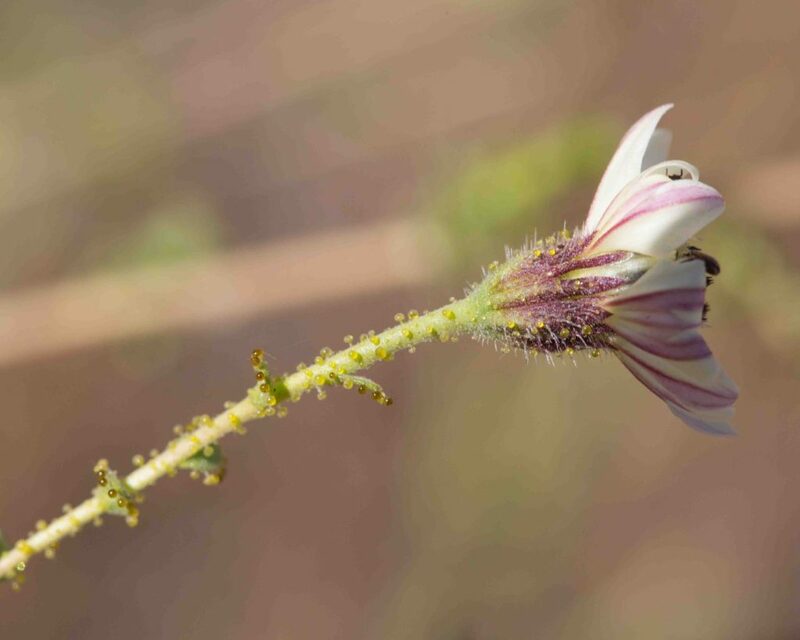 One needs to be up early to enjoy the flowers at their best, they are withering by mid-morning. 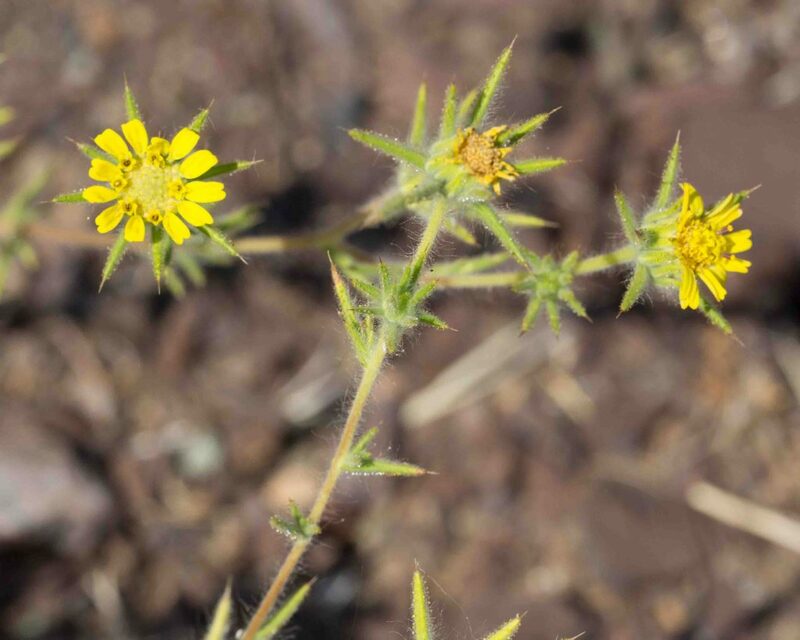 Centromadias are most easily recognized by their conspicuous spine-tipped peduncle bracts. 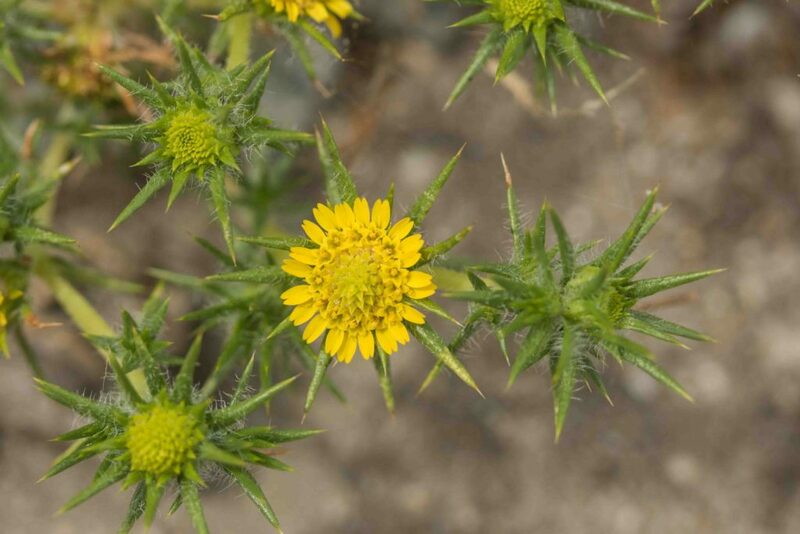 Fitch’s Spikeweed has stalked glands on its leaves and peduncle bracts, is consistently hairy and has red to dark purple anthers. 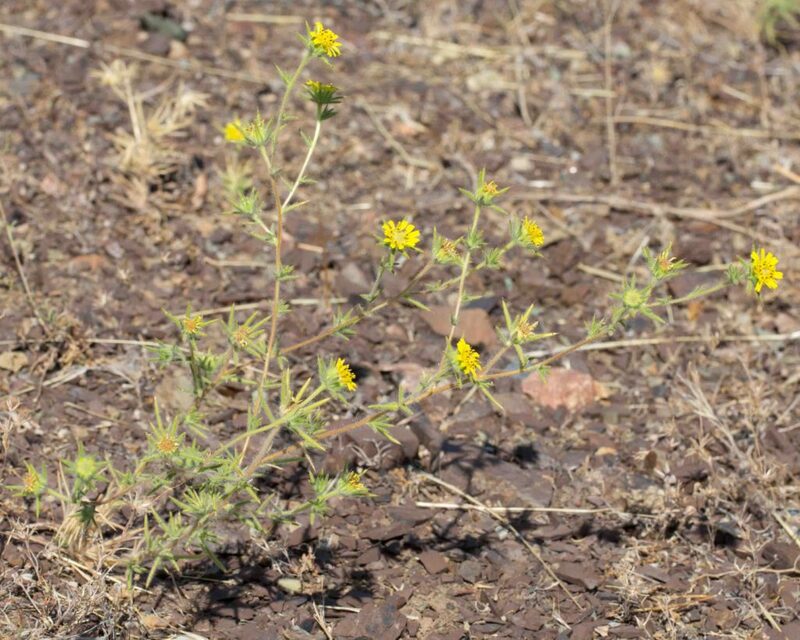 The bright yellow ray flowers are 2-lobed unlike most tarweeds which are 3-lobed. 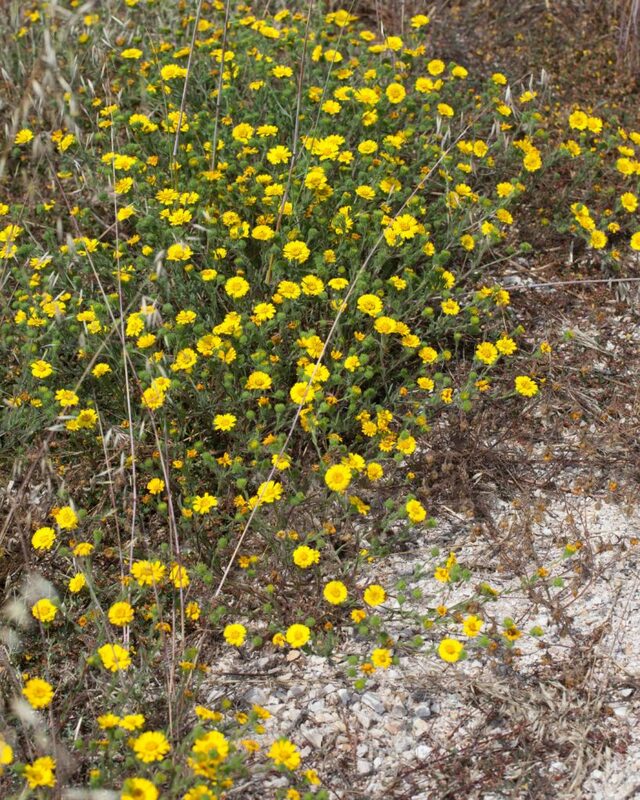 Generally low-growing and scented, with yellow-green leaves and spine-tipped peduncle bracts. Unlike Fitch’s Spikeweed (Centromadia fitchii) the peduncle bracts are glabrous to more or less coarsely hairy but seldom glandular. 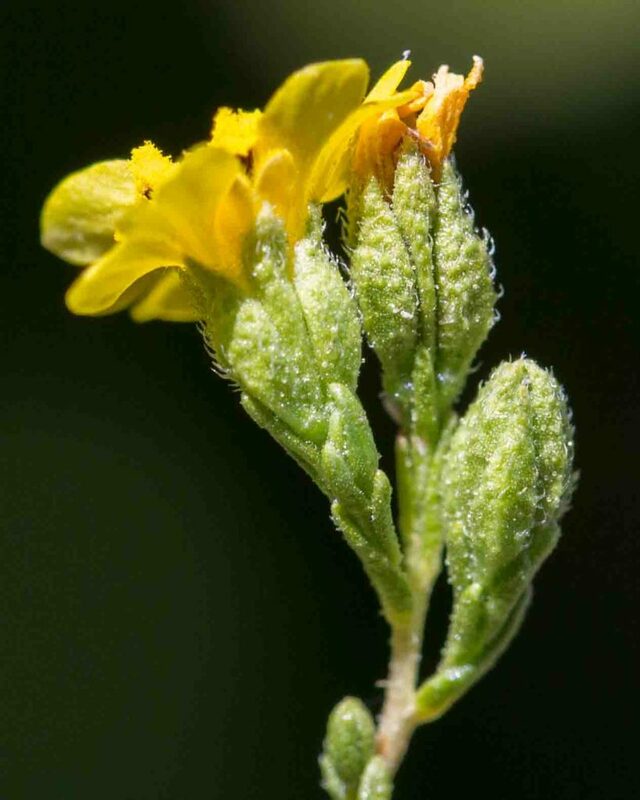 Heads contain 9– 20 yellow, 2-lobed ray flowers and 40+ disk flowers with yellow or brownish anthers. Rare. Common, especially by the coast. 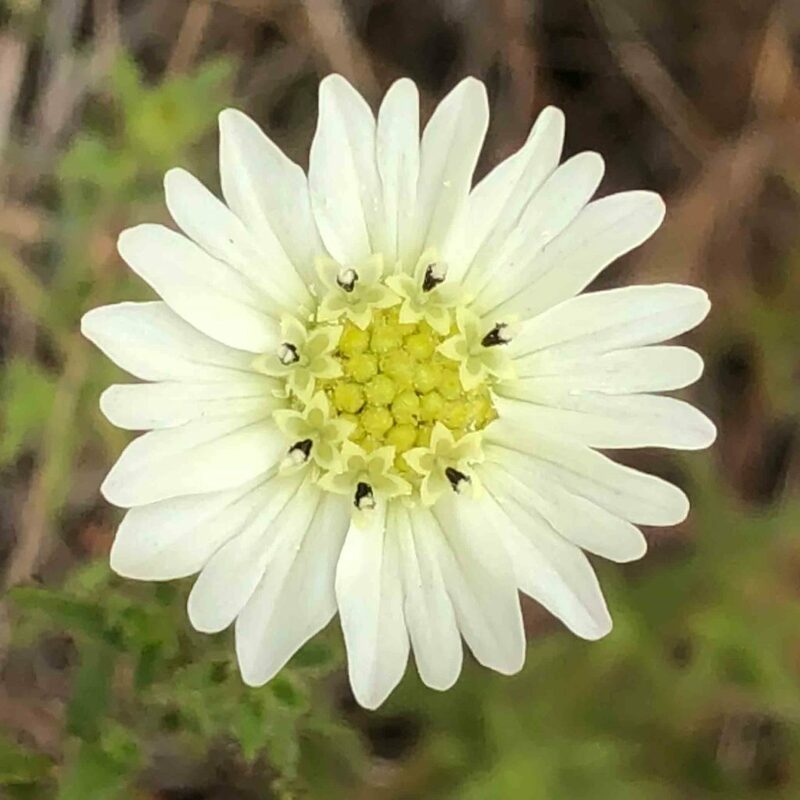 The flower heads have 14–35 ray flowers, 24–70 disk flowers and a shallow involucre and is thus easily distinguished from Coast Tarweed (Madia sativa) which has only 8–13 ray flowers, 11–14 disk flowers and a more rounded involucre. 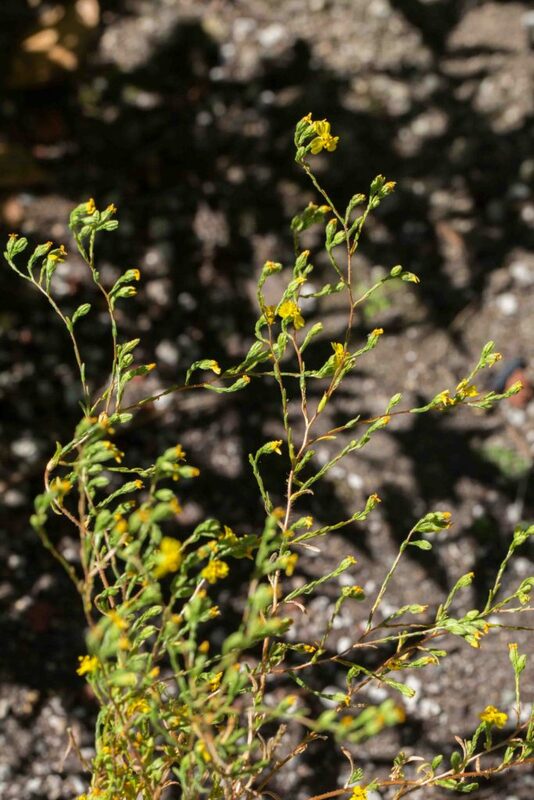 The upper leaves are linear and crowded below the inflorescence, lower leaves are pinnately-lobed. 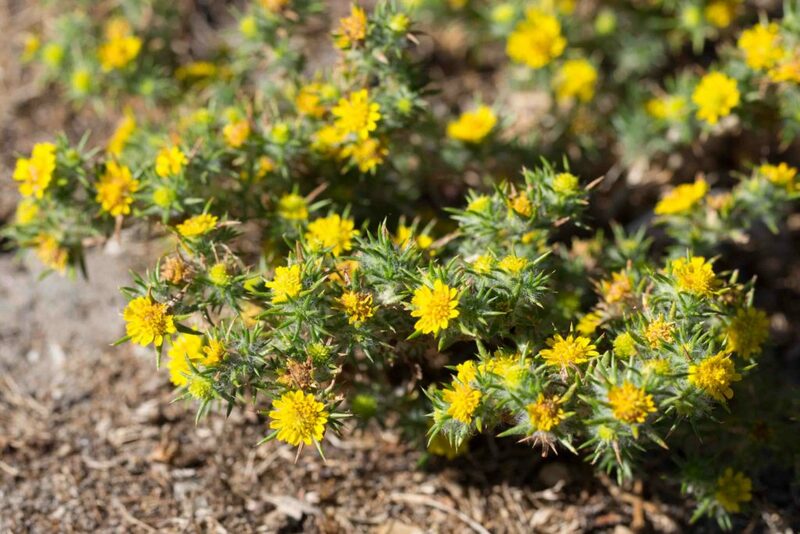 The plant can be found in large quantities. It is strongly aromatic. 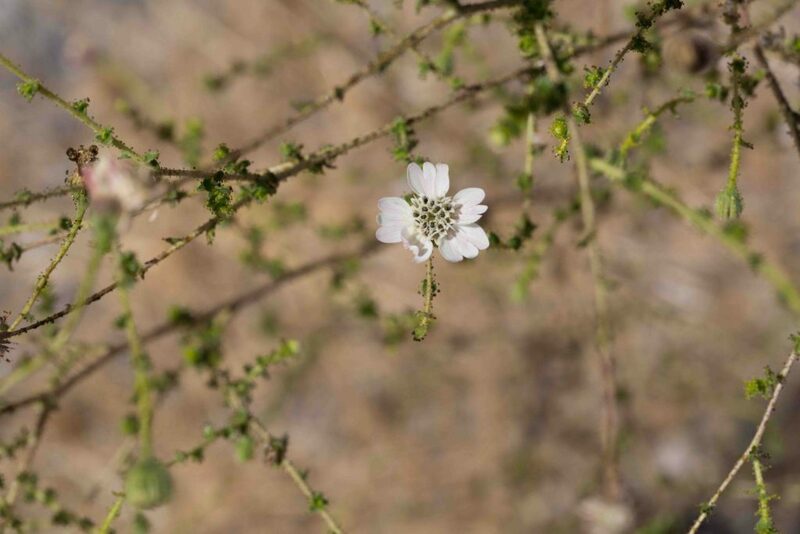 A small, much-branched plant. 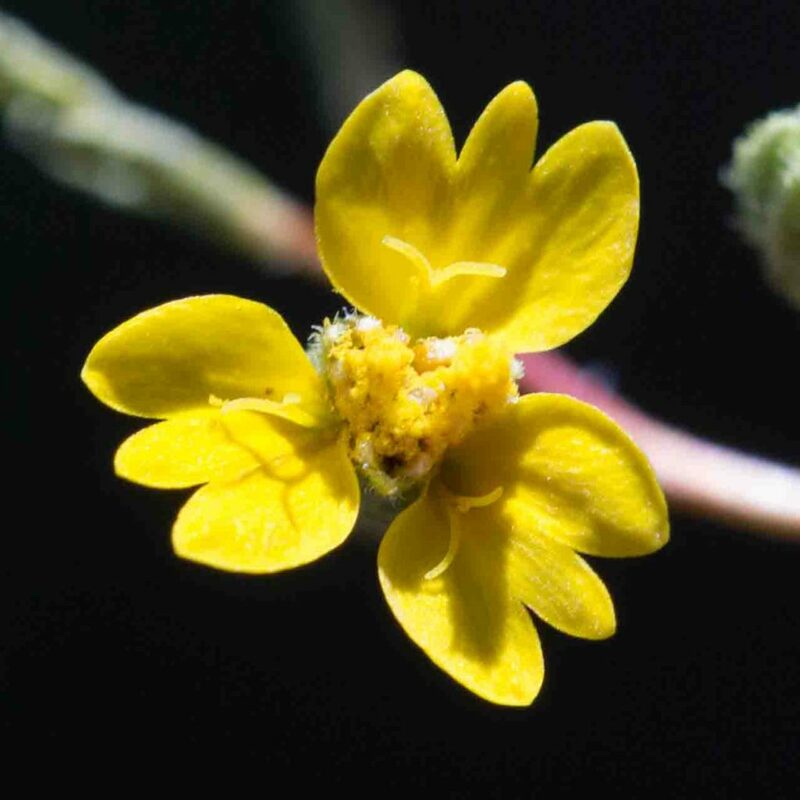 The inflorescence is in panicle-like cluster with 3 deep yellow, 3–5 mm ray flowers and 3 disk flowers. Anthers are red to dark purple. Subtending bracts sometimes partly overlap the glandular phyllaries. Leaves are gray-green, rough and with stiff hairs. 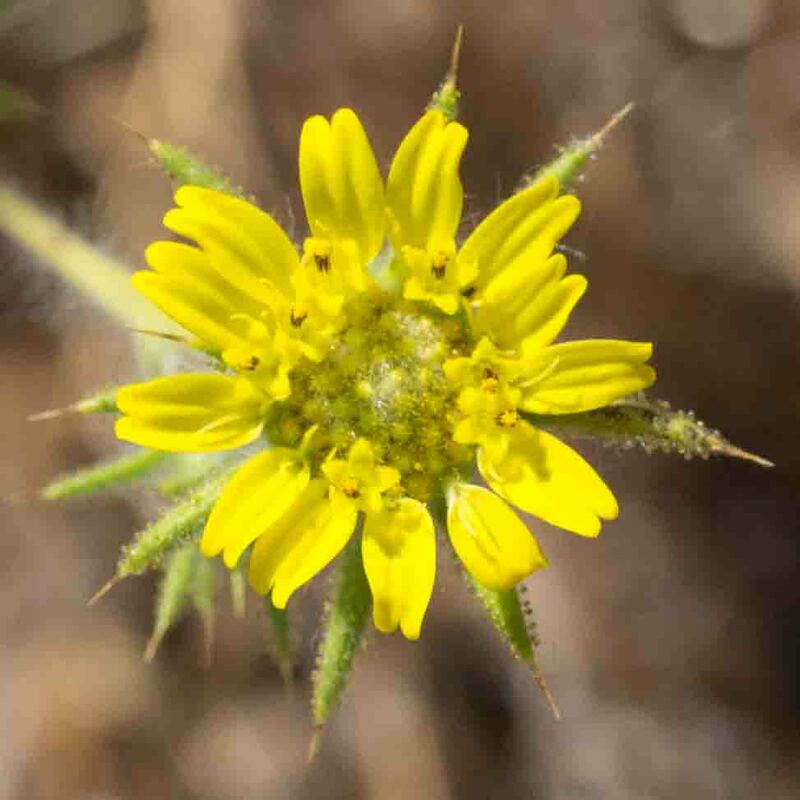 Not to be confused with Slender Tarweed (Madia gracilis) which can sometimes have only 3 ray flowers but which has a quite differently shaped involucre and a quite different growth habit. 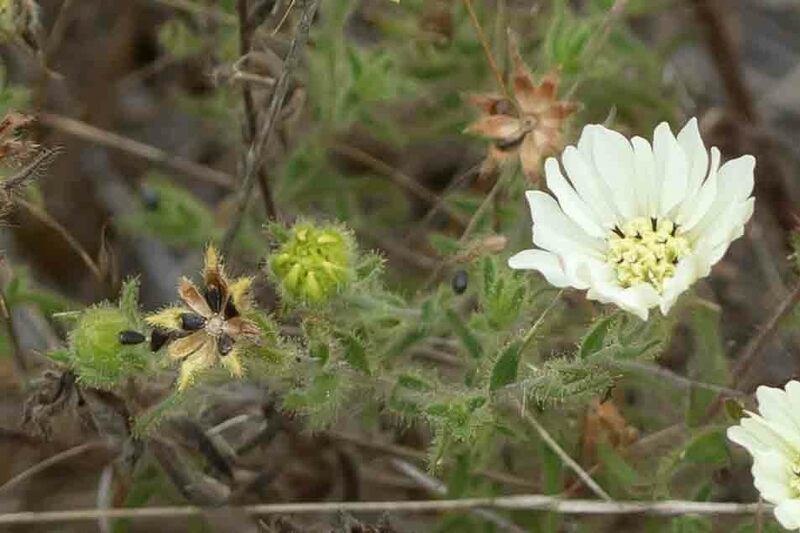 The flowers, with their 5–11 white ray flowers, white disk flowers and dark purple anthers, might easily be mistaken for Big Tarweed (Blepharizonia laxa). 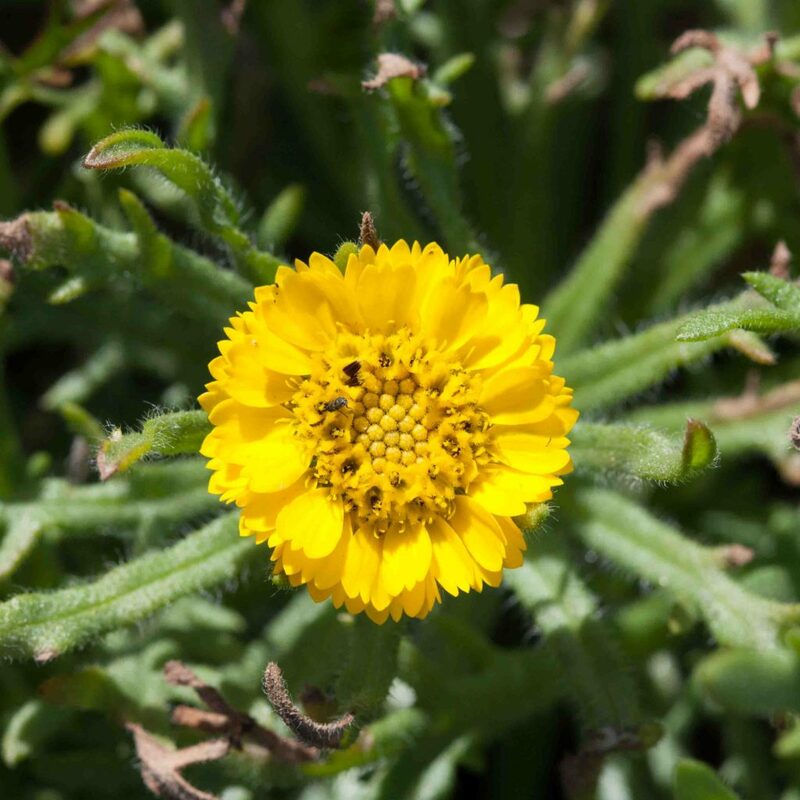 The plant can however be distinguished by several features, Its phyllaries are broader, with a clear central ridgeand much smaller (and often black) glands. 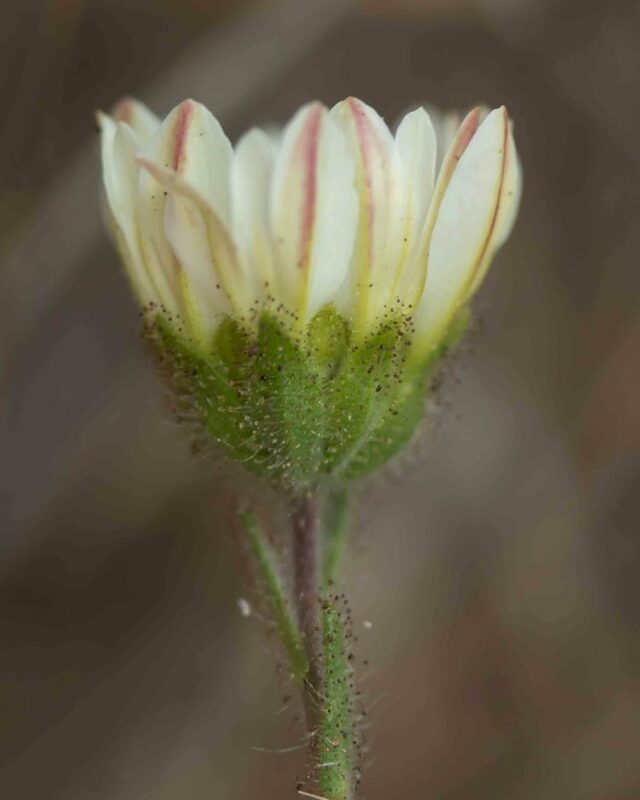 Its buds are very distinctive with the outer phyllaries having clearly separated tips which curve towards but do not reach the center. 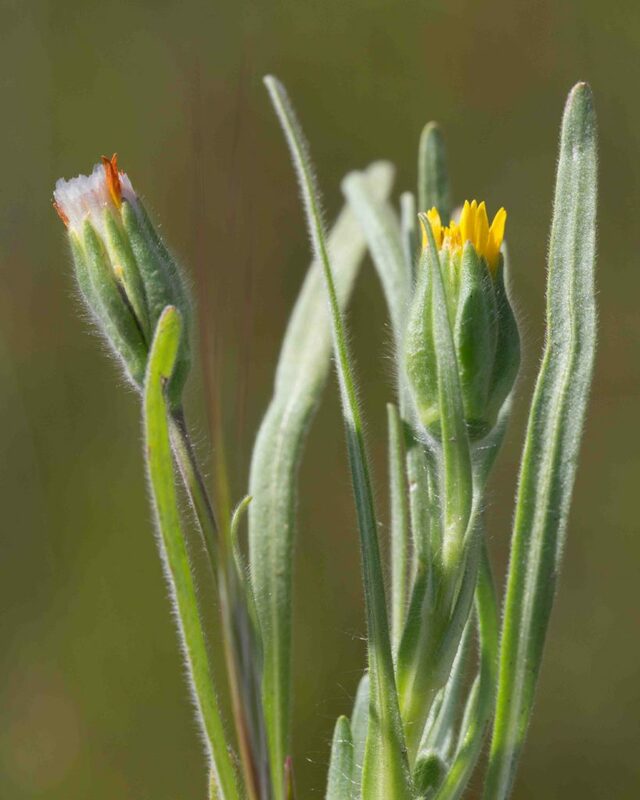 Most clearly (if they are visible), the fruits are short and fat, no more than 2 × as long as they are wide; quite different from those of Big Tarweed.